George Lacy Hillier: Amateur Cycling Champion at ALL(!) distances, 1881. 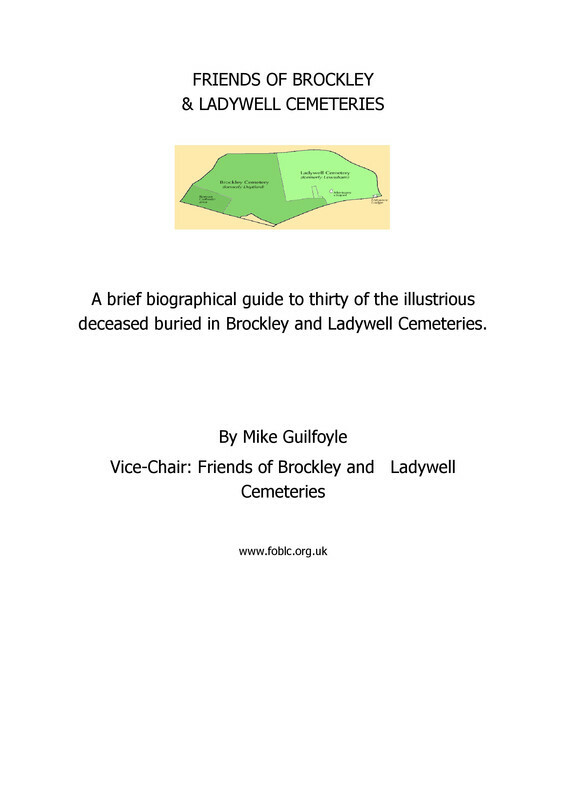 - Friends of Brockley & Ladywell Cemeteries Friends of Brockley & Ladywell Cemeteries: George Lacy Hillier: Amateur Cycling Champion at ALL(!) distances, 1881. As the Tour De France begins, the FOBLC remembers George Lacy Hillier who was the cycling superstar of his time. He was born in Sydenham in 6/6/1856. 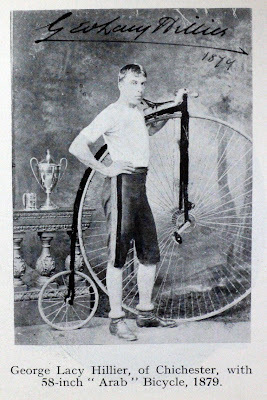 The attached a picture of him, was taken about 1878, when he lived in Chichester and raced for the Chichester and District Bicycle Club. Among various honours, he was for many years the English champion over all the then recognised competition distances, and also competed on the continent. Probably his most famous race was the 10,000 metre race on the Leipzig track in 1885, where he not only won the first prize but broke the record for that distance. Hillier went on to be a magazine editor and writer and was also member of the Stock Exchange, like his father before him. He was an important figure in the planning and raising the finances to build Herne Hill Velodrome, the last of the many famous Victorian racing tracks. There were plans to tear this famous track down but it has now been saved. For more information about the Velodrome see the links below. 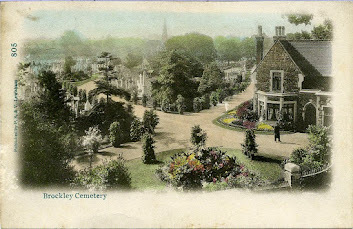 Hillier died in 11/02/1941 and is buried in the Hillier family vault in the Ladywell Cemetery. Thanks to Geoff Margetts, a cycling enthusiast based in Germany, for the information.